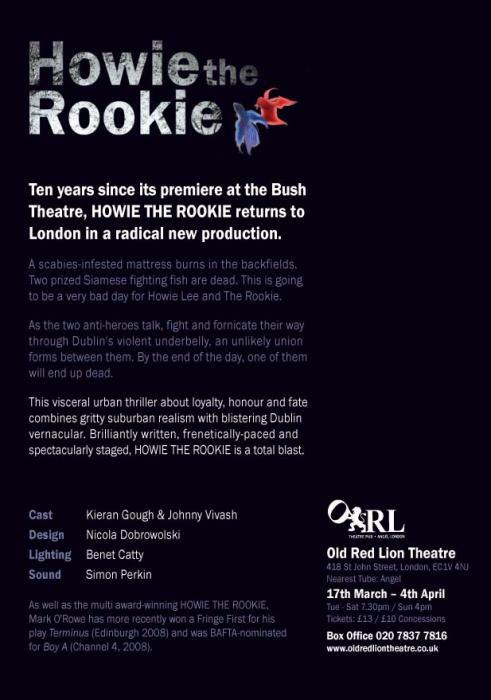 For the first time since its multi award-winning premiere a decade ago, HOWIE THE ROOKIE returned to London. 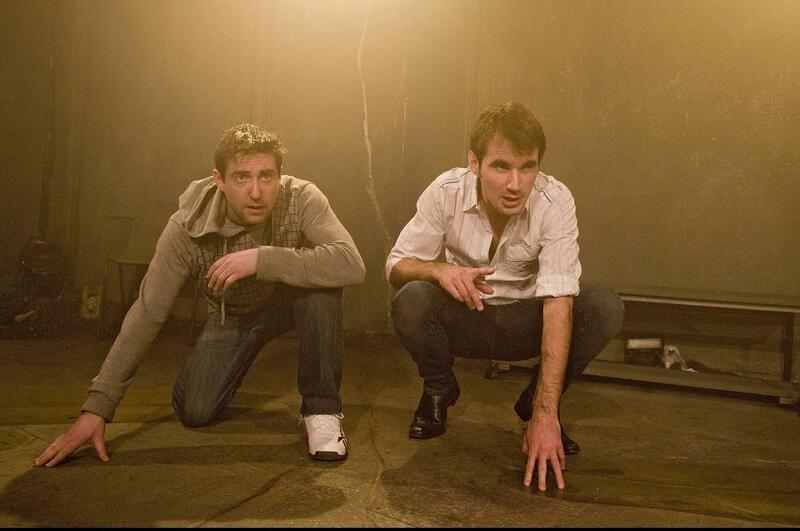 In a radical new staging, Mark O'Rowe's acclaimed double monologue met with universal critical acclaim and played to packed houses, nightly cheers and even a standingovation. A scabies-infested mattress burns in the backfields. Two prized Siamese fighting fish are dead. This is going to be a very bad day for Howie Lee and The Rookie. This visceral urban thriller about loyalty, honour and fate combines gritty suburban realism with blistering Dublin vernacular. 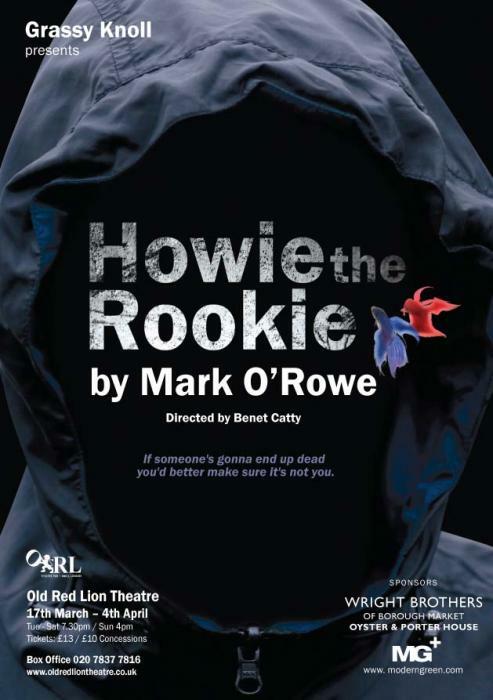 Brilliantly written, frenetically-paced and spectacularly staged, HOWIE THE ROOKIE was a total blast. Across its reviews this production of HOWIE was praised for the actors, the direction, choreography, design, lighting, sound, even atmosphere. 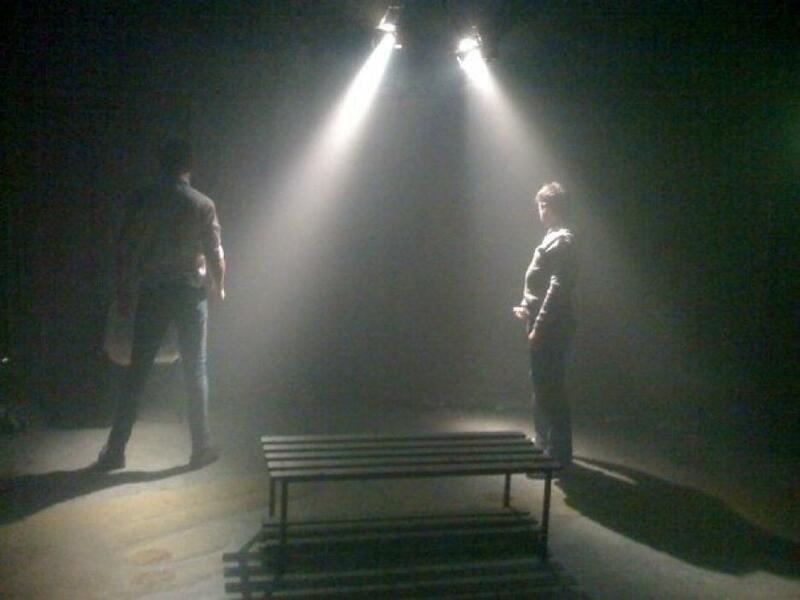 For its final nights there was a queue for returns, a rare sight in a fringe theatre. Hopefully HOWIE won't be gone for too long.